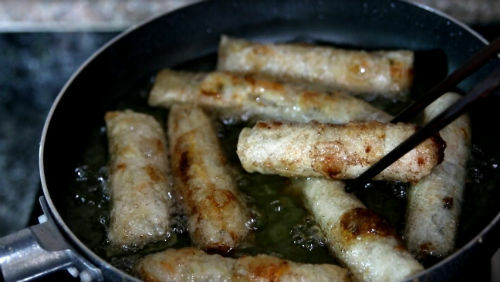 Vietnam fried Spring Roll (Nem rán/ Chả giò). 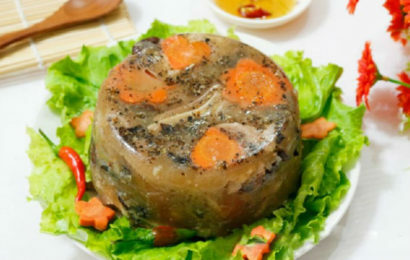 A typical Vietnamese deep fried spring rolls plate. 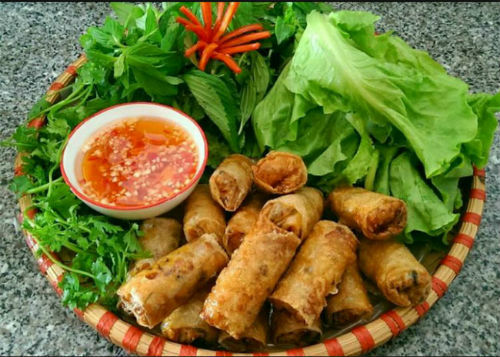 Fried spring roll was brought to Hanoi from the Southern part of vietnam and this dish has rapidly become a favorite one of Hanoi’s people. 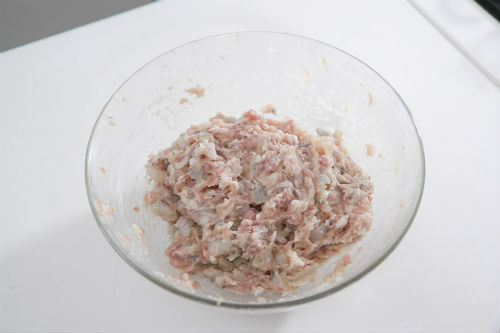 Step 1: In a large bowl, combine the minced pork and minced shrimp together and season lightly with salt, pepper, sugar and chicken stock (1/2 tsp each). Also add 1 tsp minced shallot and 1 tbsp minced garlic. Mix well in a circular motion till combined. Mix well in a circular motion till combined. 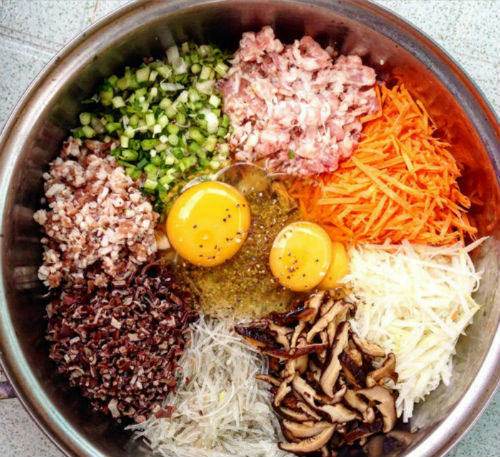 Step 2: Combine the seasoned meat & shrimp with all the shredded vegetables, mushrooms and glass noodle. Mix well. To help all the ingredients adhere better, add 1 egg or just the egg white. Mix well again and leave to sit for about 15 minutes. Step 3:Soften the rice paper for wrapping. 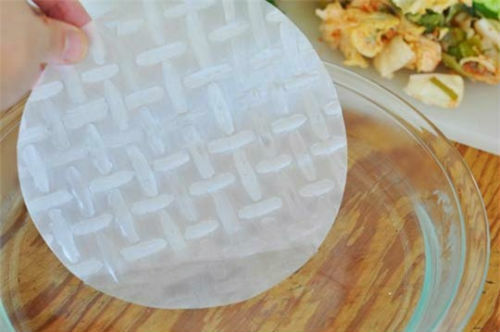 Soften the rice paper for wrapping. Step 4: Scoop a heaping tablespoon of the filling and place near one end of the rice paper. Roll until you reach the center, then fold both sides inwards and continue to roll up till the other end. Step 5: Heat a generous amount of oil in the pan until you see small bubbles around the chopstick. Then keep the heat on medium and start frying. 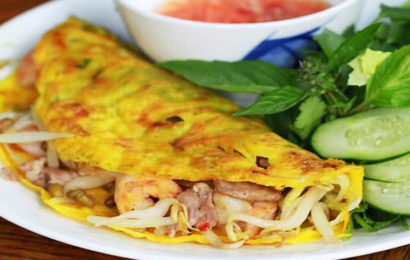 The rice paper could be sticky at first so leave some spaces between the rolls. After a few minutes, it’s ok to bring them closer to one another. Deep fry until they turn golden brown. Deep fry until they turn golden brown. Step 6: Place them on paper towel to drain off the excess oil. 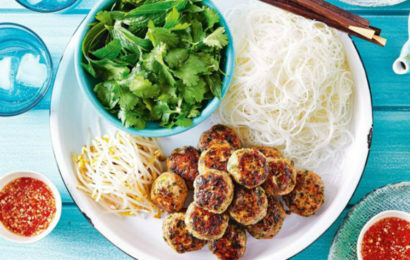 Serve with dipping fish sauce, fresh vegetable and herbs.